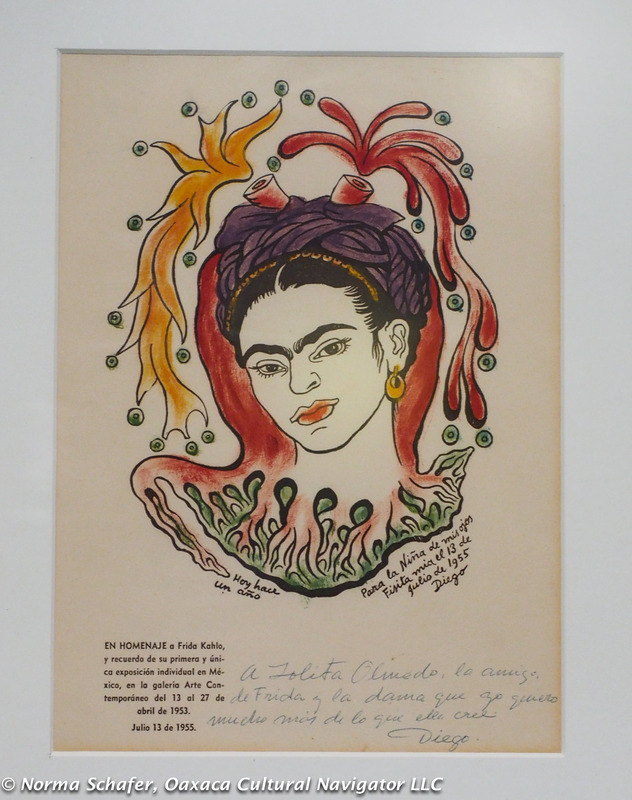 Frida Kahlo is a great source of inspiration and admiration. 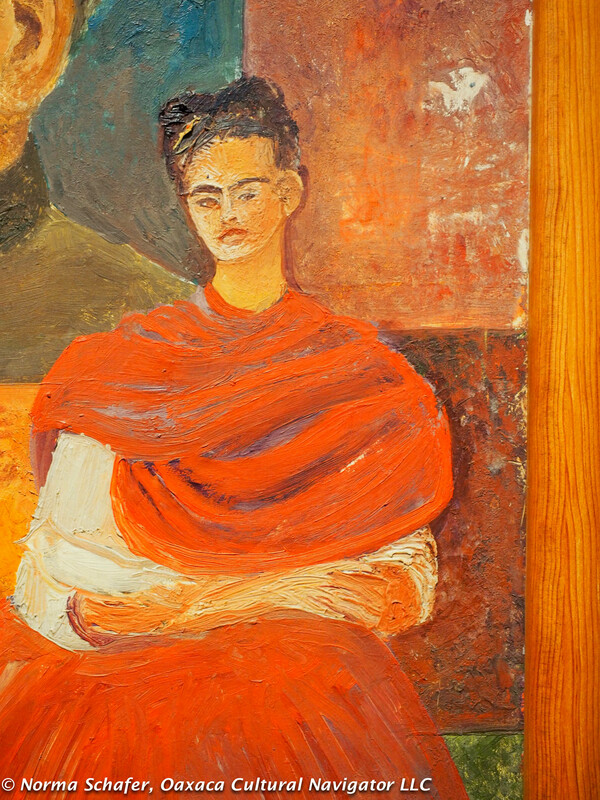 I see Frida differently each time I visit her home and look deeper into her art. 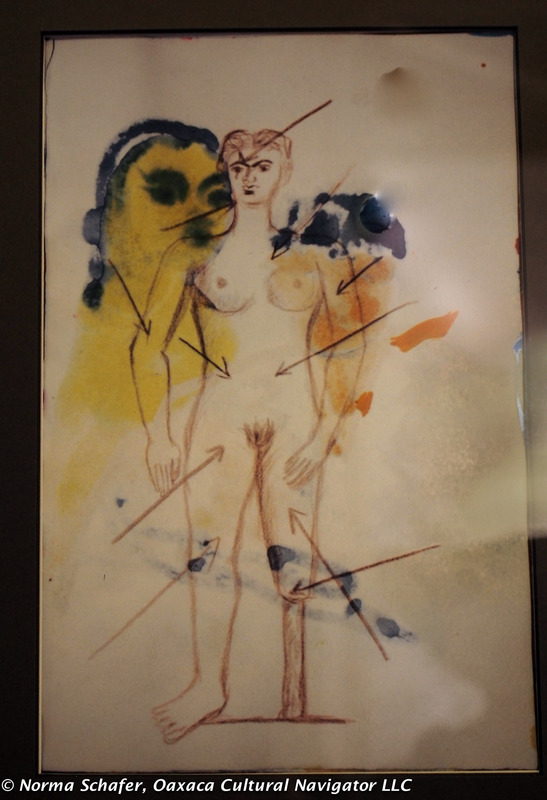 Many are self-portraits about her accident, deformities, wish to be a mother, miscarriages and marital infidelities. Her work is honest and vulnerable. Consider making a self-portrait altar — a visual memoir! 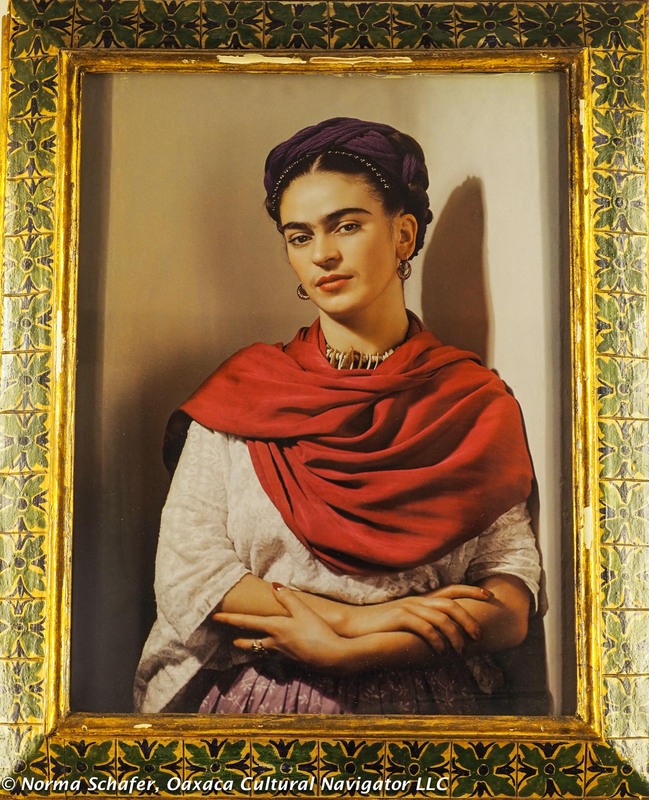 Art historians and her admiring public describe her work as intensely personal and something we can all relate to, which is why, even today, her following is immense. 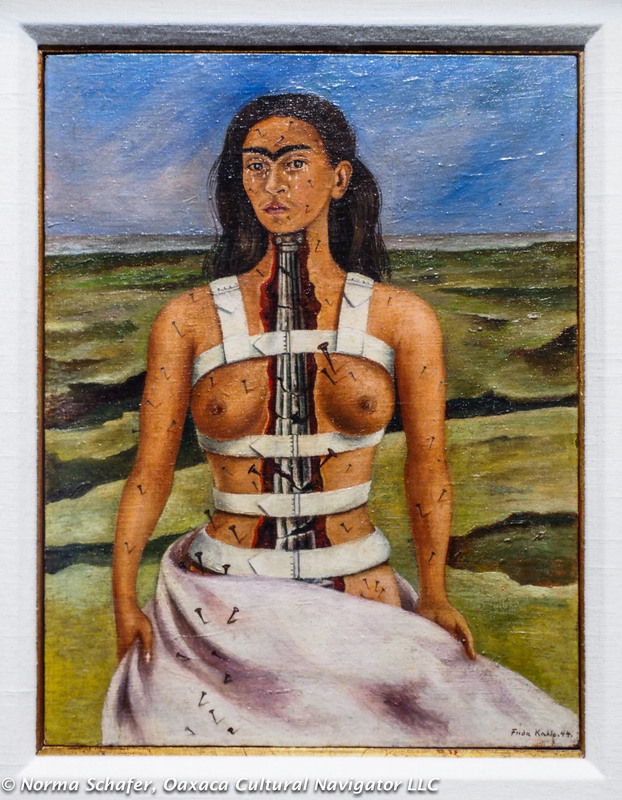 She is compared to a contemporary Virgin of Guadalupe. 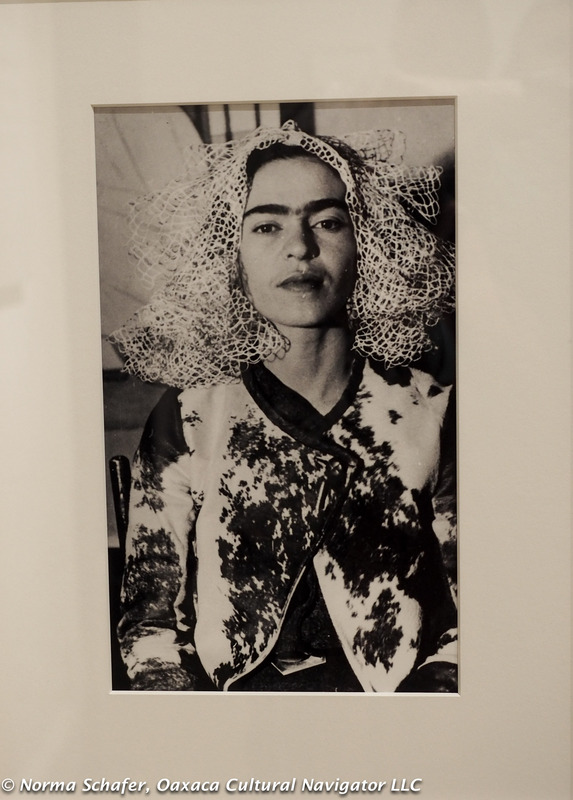 On this visit I was most interested in capturing close-up photographs of some of Frida’s most important works that are on exhibit. I am also continuing to experiment with my new Olympus OMD5 Mark II mirrorless camera that I used to take all the photos here. 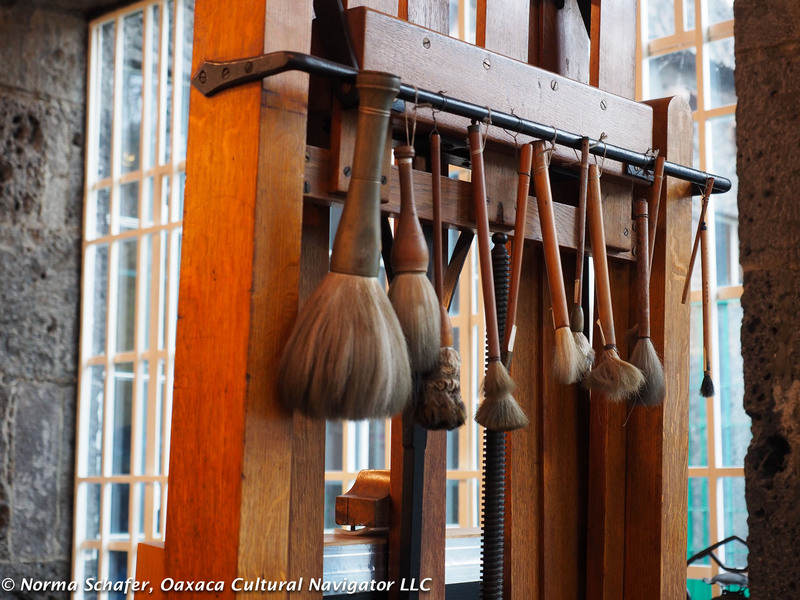 We will repurpose the images for a 4-day mixed media art workshop, February 25-28, 2016. 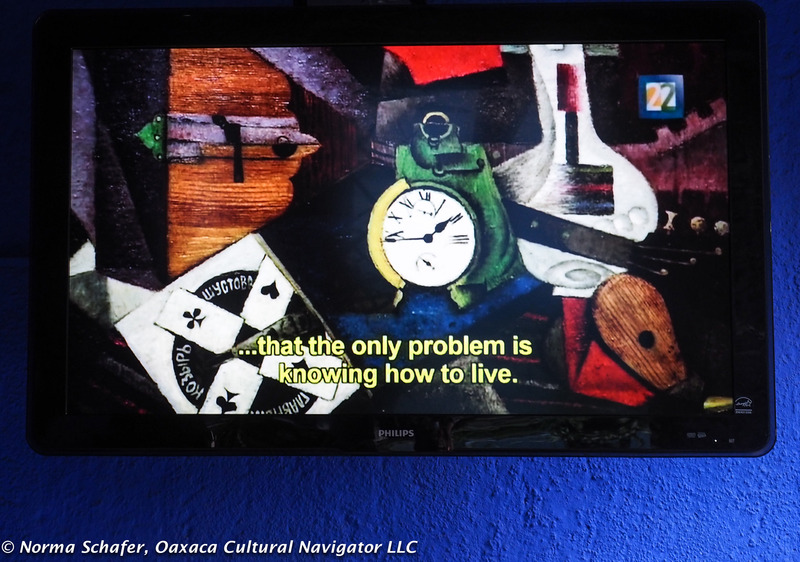 Subscribe to Oaxaca Cultural Navigator. Click Here. 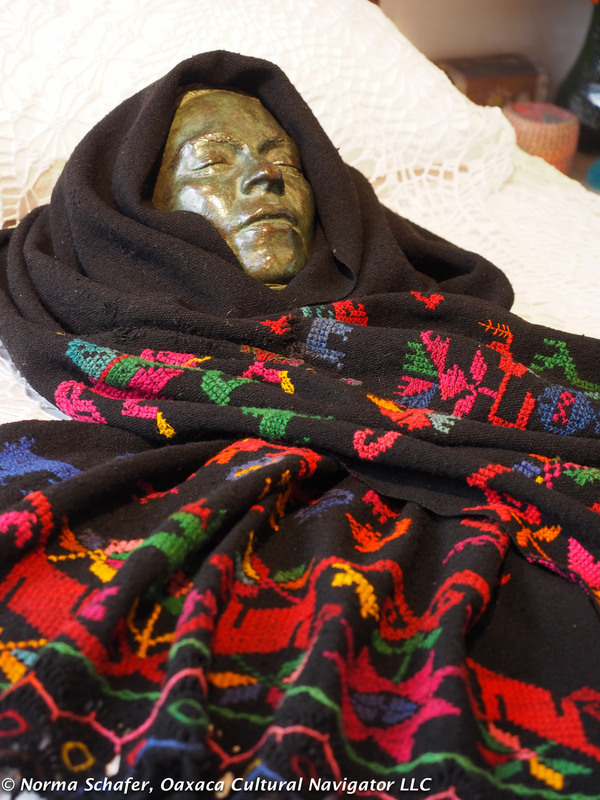 In this mixed media art workshop, led by North Carolina artist Hollie Taylor, participants will build an altar or shrine to remember loved ones or to honor Frida Kahlo, feminist icon of passion and pain. 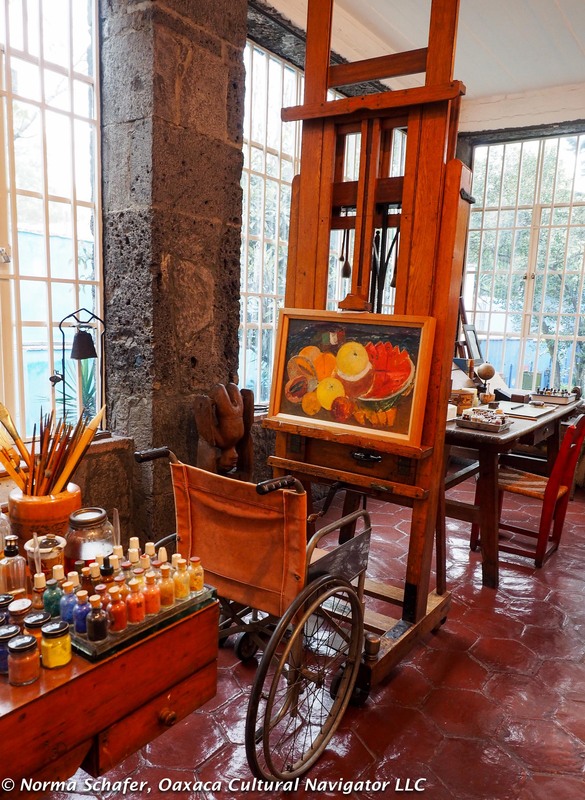 You can also use the workshop to make a self-portrait altar, incorporating images and experiences from your own life, much like a visual memoir. 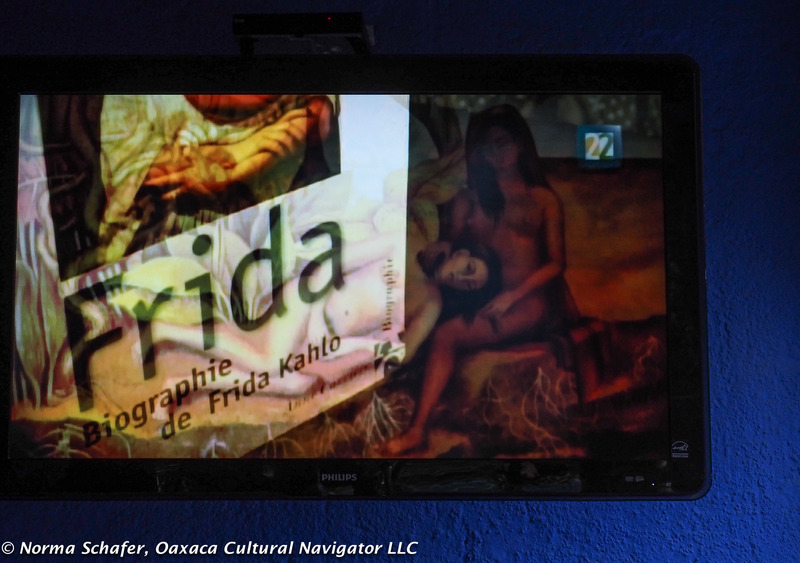 We look at Frida’s life as an example. 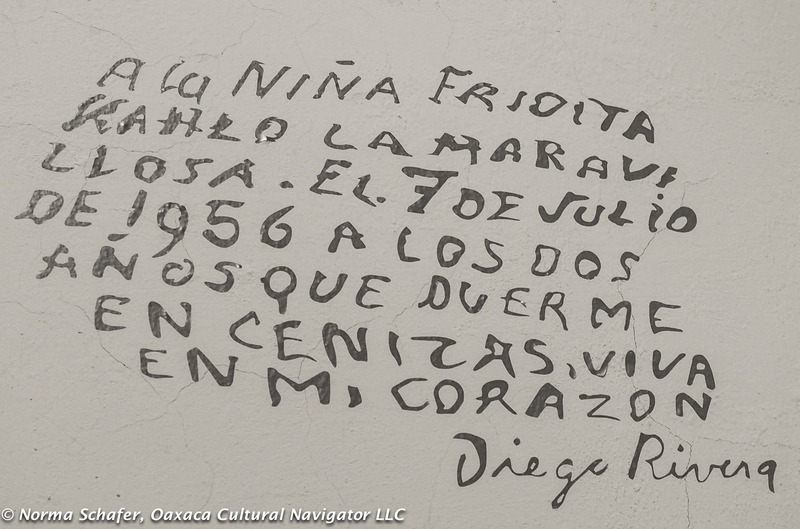 She was a woman of strength and complexity. 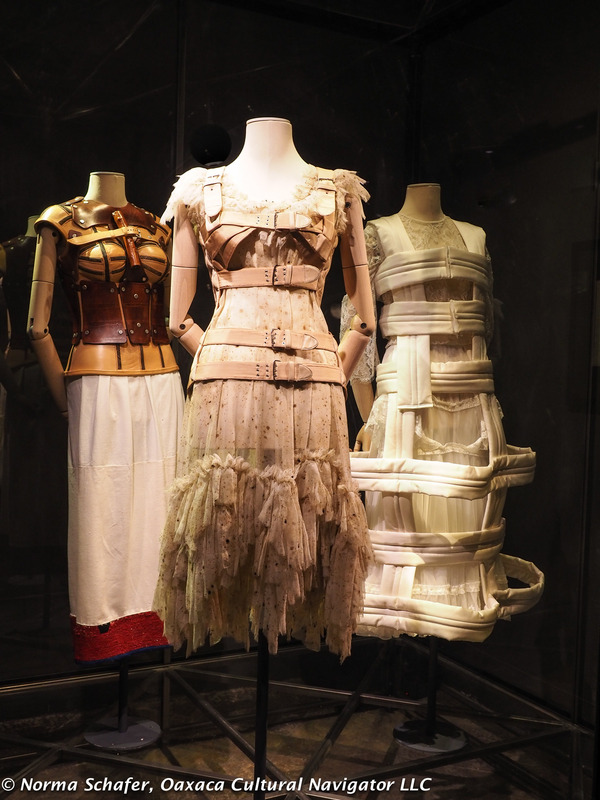 While she lived with intense chronic pain, both physical and emotional, her face to the world successfully hid her deformities and shaped her identity. 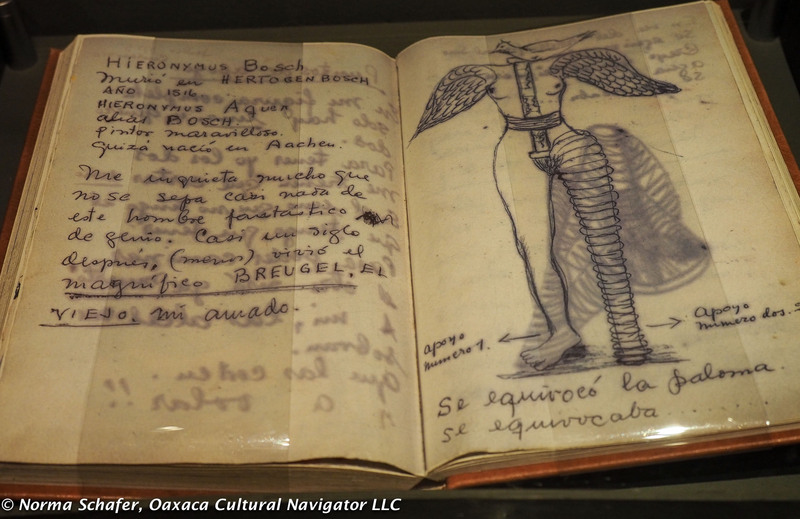 We see this in the Casa Azul exhibit, Appearances Can Be Deceiving. 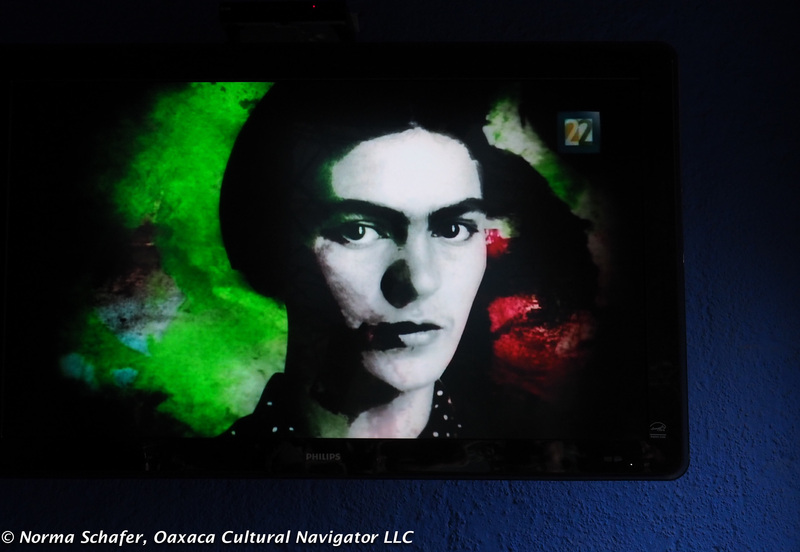 A new documentary film shown at Casa Azul tells the story of Frida, a woman who has become a contemporary role model, honored for her courage and honesty, and for her ability to paint with emotion as a tool for self-reflection and healing. 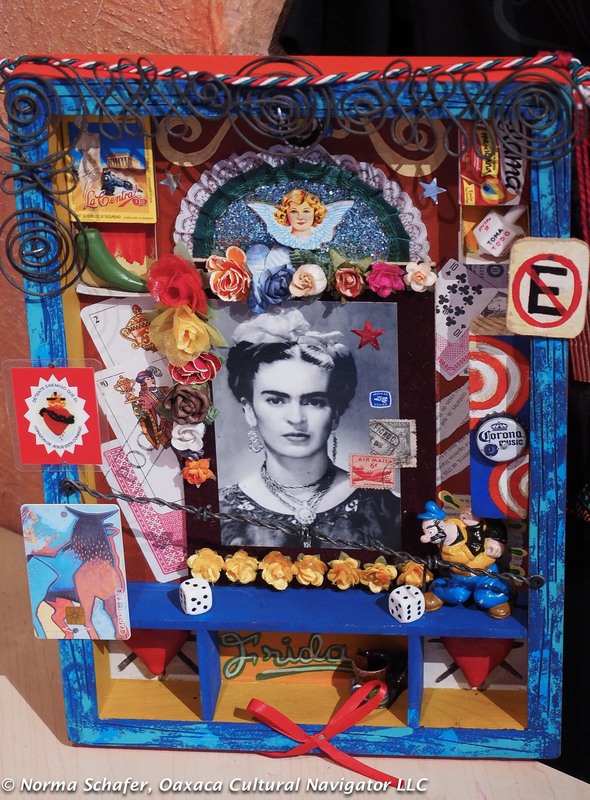 Evoking Frida Kahlo: Making Memory Altars and Shrines gives us a chance to personally interpret Frida’s life and employ it as a jumping off point to create our own art altar in memory of Frida or our own special someone. 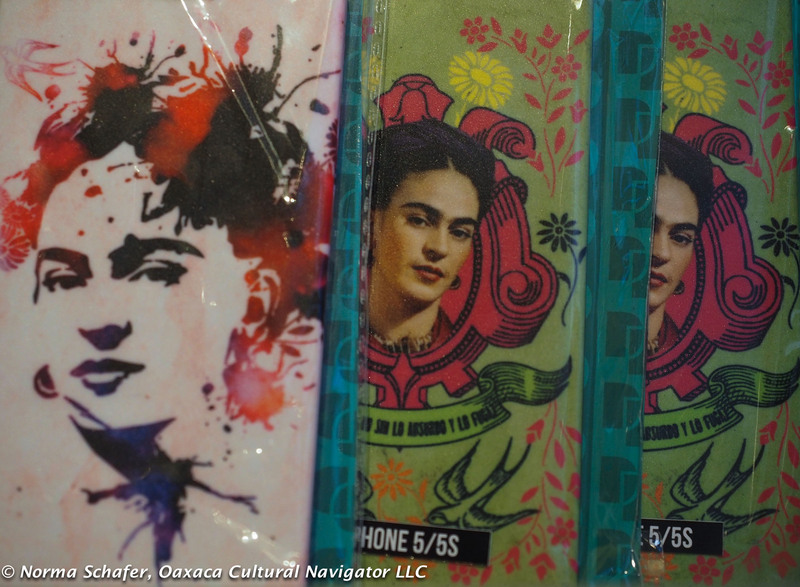 Frida’s courage and obstacles, successes and set-backs are a metaphor for all of us. 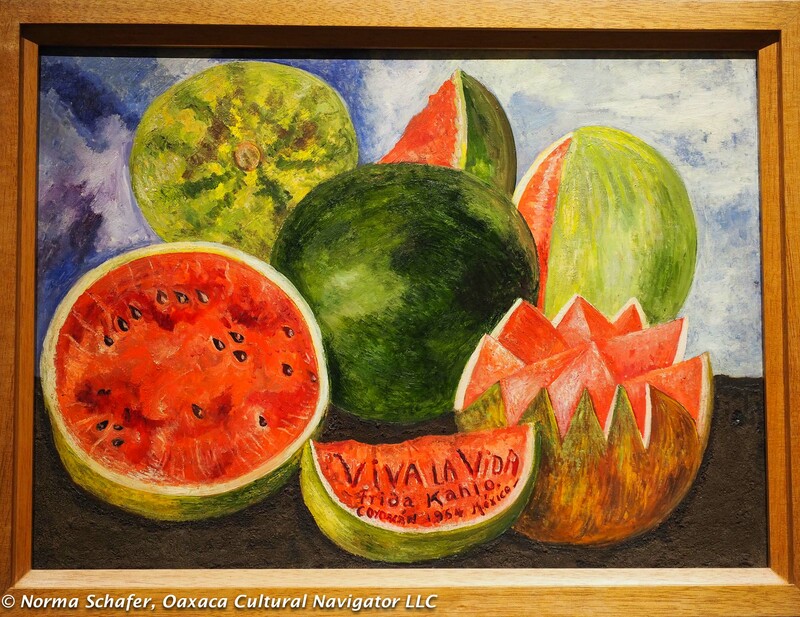 It offers us an opportunity, through art, to explore identity, image, impression, impact, intent. 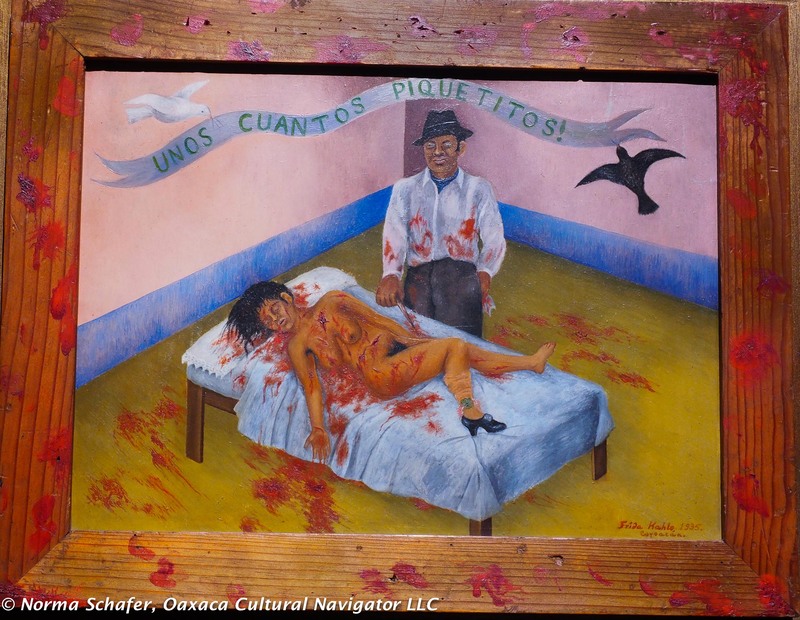 To create an art altar is to interpret and to understand, to reveal what is hidden, to emotionally connect in a very visual way, and to offer homage. 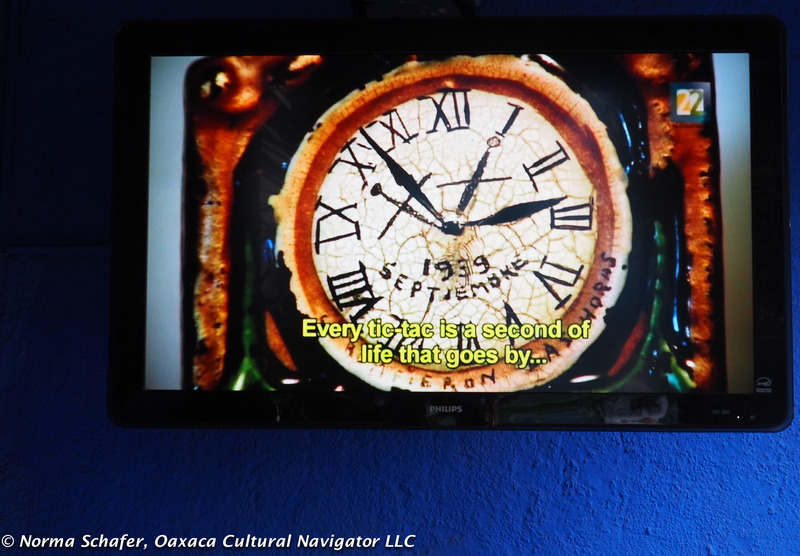 Akin to the Mexican approach to death and dying through Day of the Dead, by building a memory altar or shrine, we create a space where we embrace and examine a loved one’s life using photos and memorabilia. 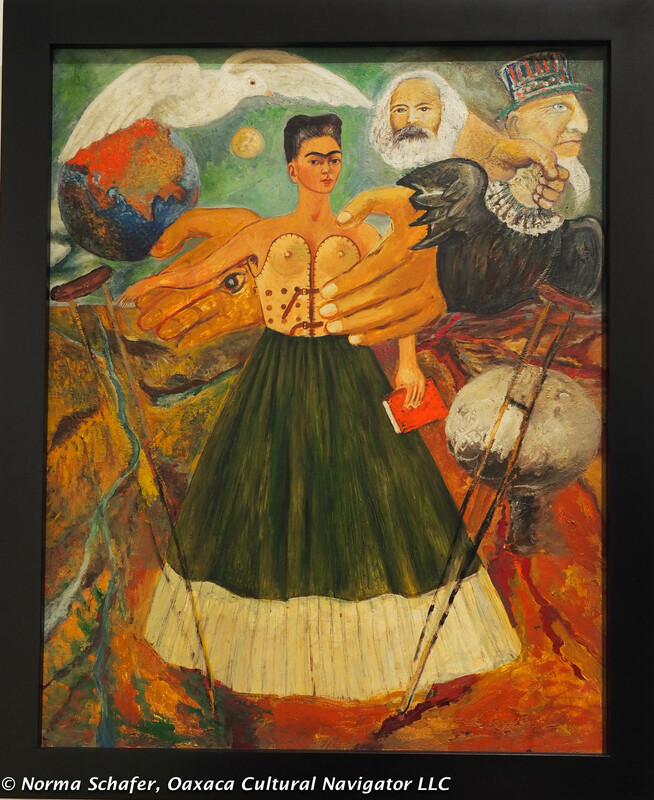 This entry was posted in Cultural Commentary, Mixed Media Art, Workshops and Retreats and tagged altar, art, art journal, class, course, Frida Kahlo, Mexico, mixed media, photography, shrine, workshop. Bookmark the permalink.